Just a heads up that I’m in the process of making changes to prepare for what’s upcoming, as well as to close doors on the old. I found it synchronous that today, as I made the phone calls and took the steps to put these in motion, was actually the day seven years ago that I first released my e-book version of Spiritual Skin. It wasn’t long after, that I then made available the hard copy and kindle version and today I’ve put in motion releasing that associated website and email address for my book, altogether. I’ve also released my old Tania Marie website and now you can access this blog via either domains of www.taniamarie.com or the current you know of www.taniamarieartist.wordpress.com. For now, I’m keeping my associated email address for that domain name, as it’s connected to too many things I don’t have time and focus to handle currently, but you will not be able to contact me via the Spiritual Skin email. While the website for this first book I self-published will no longer be, you will still be able to purchase copies on Amazon – the only way to do so going forward. Extra reiteration that that part of my life had come full circle were reflected in at least two books I know of that came out after mine – one that actually used my book title in theirs coming out almost 2 years later – and one recently that came out last year that ironically I was sent by the author’s marketing help to potentially review. I haven’t yet been able to read the book, but in scanning it, I was intrigued how similar it was to my own. We are all collectively connected and tapping into the same pool of energy, but my time swimming there I now release to others. That, in and of itself, feels like a huge refresh and reset. You may have also noticed that I’ve deleted nearly all the pages of this blog site as well, and it now only contains my blog sharing and general and contact info. So, those are some big changes that feel good, with more in time to come. I continue to receive requests on things now and then, as I can’t delete everything out there in the world-wide web, but I’ve remained focused on only what resonates to move forward with. I am grateful to have a small network of referrals I can recommend to people in need and whom I’m unable to support at this time. Unfortunately, I don’t have recommendations of tattoo designers, but I do know wonderful tattoo artists I’ve personally worked with who are tapped in and create wonderful pieces. I always highly recommend taking time to search people out with intention, as you’ll always be led to the perfect person. That brings me to the last Summer and Fall workshops that I’m offering. I received some questions that I wanted to share my answer to for everyone, in order to clarify things if in fact you were curious as well. Although I will not be offering classes anymore after August’s Reiki ones, I’m committed for life to provide support and answer questions for all of my students. I know that there was concern that if someone took my Reiki workshop they wouldn’t have what they called “mentorship” with this since I wasn’t teaching, but my ceasing to teach does not close the door on past students who have need for support with questions. My students are always able to contact me for that. I’m simply not going to be attuning NEW students after August. I hope that is clarifying for anyone who had concern. That said, in two weeks from this Saturday will be the last opportunity to register for June 23rd’s Reiki 1 & 2 Accelerated Workshop. June 9th is the deadline for that. So if you’re on the fence, that’s just a little reminder date to keep note of. You still have opportunity to pre-register at discount for the August 25th Reiki 3 Master Teacher Workshop, as that deadline is July 4th with final registration ringing in on August 11th. As for the Fall Equinox “Living a More Magickal Life” with Laura Bruno and myself, that pre-registration deadline to receive discount is coming up on June 21st Summer Solstice. The workshop is 1/3 full. Final registration is September 15th. 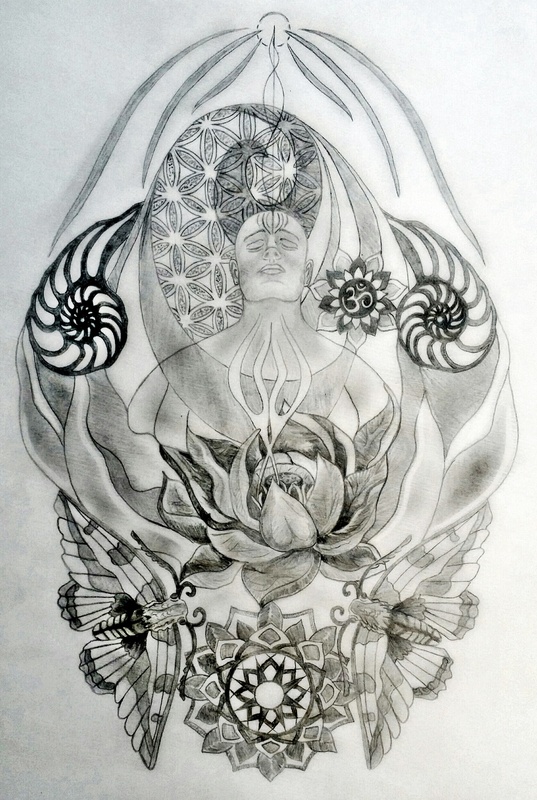 A brief, but important, announcement about sacred tattoo designs that has come with great time spent in reflection and receiving of the guidance channeling through. As all things change, so too do my own cycles of life I must honor. I am not accepting any more new clients for designs at this time. Once I complete all current commissions, sacred tattoo designing will take a hiatus in my life. This service will be available again, but at an undetermined time yet known. I’ll share more details about why this break is being implemented in my upcoming February newsletter. What a journey it’s been, is about to be, and will be again! As I was down-sizing for RV life I discovered some hidden prints in the storage cabinets that I can’t store, which means a crazy blowout sale is in order, just in time for Christmas. This includes HUGE discounts from their original prices and don’t even cover printing costs. My gift to you, as I just would like to see them going to good homes and enjoyed and supporting people as they were meant to. FYI: Prints of the In Lak’ech Series are no longer available after these prints are gone. So this is the last chance to get any of these potent pieces. I’ve sold out everything, but these last pieces, and am not guided to print anymore. So, only the 5 Original paintings of the series remain for whom ever they call to. These are on a first come, first serve basis. If you would like to purchase any of the above, please CONTACT ME so I can send you an invoice and assess shipping for you. Beginning January 1st my sacred tattoo design rates will be increasing. Originally I was going to increase once I returned from sabbatical, but decided to extend the regular rate of $175/hr for one more month. So, if you’ve been interested in a tattoo design you may want to lock in this rate by placing your deposit during this month. For the month of December, if you book a Five-Week Intensive of Intuitive Energy Guidance Sessions or a Clarity & Guidance Package of sessions you will receive a complimentary 1/2 hour session you can either use for yourself or gift to someone else (worth $111 or $94 depending on which package you choose). All sessions and packages are available as gift certificates to others as well. This last design I completed feels like the perfect send off before heading out for activating and igniting new beginnings from the core essence within. I’m sharing it along with some answers to questions that I’ve been receiving, so that hopefully things will be clear while I’m unable to assist. I’ve been getting a lot of questions about sacred tattoo designs in these last weeks before I head off on my 3 month sabbatical, even though I’ve posted several messages on it. So just to help clarify things for everyone, as likely timing hasn’t aligned for everyone to see the messages, I thought I’d share details again. I will not be available for questions, emails, and messages regarding tattoos beginning tomorrow. There is a waiting list that has already started for when I return, which will be December 1st. I can maybe squeeze in one more December client, if you’d like a design done by end of the year, but we’re really looking at January of 2016 for booking. Don’t wait until I return to schedule a design, unless you don’t have any time restraints on when you need it, as people will have continued booking on the calendar while I’m away and so you’ll be placed next on the list, from where ever I’m booked out at that time. There is likely going to be a rate increase when I return, beginning 2016, so if you place a deposit between now and December, you’ll lock in the current rate. If you have a budget, we can work around that to ensure supporting your needs, but just be aware that this limits the size and detailing possible. I have been able to successfully stay within budgets when that is provided. Size and detail will determine the amount of time it takes so I can only provide guesstimates on this from my end. So if in fact you have a budget, just let me know that when you place your deposit in the comments and we will discuss details when I’m ready to begin working on your design. I create designs. Your tattoo artist will do the inking. I only work in pencil. Color will be chosen between you and your tattoo artist. Consulting is part of the process so when you place your deposit, we will then discuss all details when I get to your design, as I do them in order of deposits received. I work in flow of the energy presenting itself and sometimes even time scheduling may shift slightly, as I can’t determine how things will progress with the channeling, how long the consulting will take, and when I hear back from clients. It ALWAYS, however, and I mean ALWAYS, aligns perfectly. Any other questions likely are answered at the link above in the comments about the process. Please read the details so you understand how it all works, as chances are, the answers to your questions can be found there if you take the time to read through them. Thank you so much to everyone for your interest in my design work. It is something I am very passionate about supporting people with in co-creation and I look forward to continuing that journey when I return! Today, Friday 7/24, is the last day to let me know if you’d like to either register (if a new student) or attend as free review (if a return student) for this coming Tuesday, July 28th’s Reiki Level 3 Master Teacher Workshop from 9 am – 6pm. I have only 2 spots remaining in Sunday, August 16th’s Reiki 1 & 2 Accelerated Workshop 9 am – 6pm for either new or review students. Sacred tattoo designs are fully booked through August 31st, but you can schedule in one for when I return and get on the waiting list, while locking in the current rate. I already have a waiting list started for December, which is almost half full so don’t wait until the day I return to schedule one, if in fact you’re wanting one done by end of the year or a specific time frame, as people are already booking my time. You’ll still be able to book your space on the waiting list while I’m off for 3 months (September 1st – November 30th) by placing your deposit at the link provided below. This will lock in the current rate, as there is likely going to be a rate change when I return. I did end up having room to accommodate one more client joining me on an Intuitive Energy Guidance 5-week intensive. If you’d like to start this right away, it needs to be scheduled and started next week in order to complete the sessions before I head off September 1st. Otherwise we can look into scheduling you in when I return. Sessions are done by phone providing spiritual coaching that moves energy to help heal your body and mind and achieve your goals. Each one-hour session has multiple purposes: providing practical tools to help you achieve your goals, exploring your hidden truths and shadows, and providing energetic support that will help you remove blocks and fears, move energy, move you forward, help you manifest, and foster deep healing. Many things to celebrate these days. Perhaps for many of you too, from what I am hearing and feeling. So much is coming to fruition for many and a deepening of happiness experienced because of your dedicated work. Today not only have I shared the happy news about Joy and Cosmo, but I am feeling Gaia in my heart strongly, as it would have been our 7 year anniversary together. I miss your strong physical presence Gaia, but am grateful for your continued love and support you surround me and Terra with. Thank you for your committed service and responsible compassion you share. 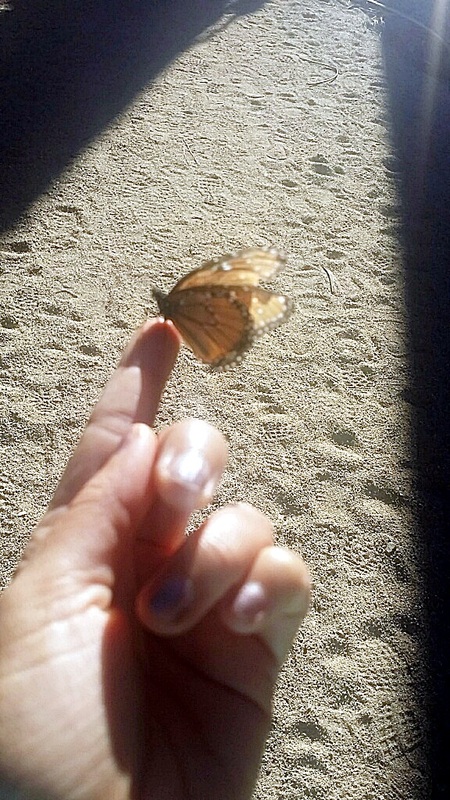 I’m also celebrating some personal milestones of transformation and renewal taking place. How about you? Are you feeling this to be a rich opportunistic time period in your life where things are, or are about to flourish? I’m experiencing a very creatively fertile time period where everything keeps shifting daily, there are no end results seen, and only each moment to paint as I desire. I can feel how much things are going to change over the course of the next 4 – 6 months and right now I’m anchoring in my authentic reflection of what that feels like to me. I’m also enjoying a shift of focus in my life and drawing upon my true nature more and more, by welcoming in things I’ve been desiring for a long time, and also declaring my personal essence, without worry about how that may feel to others. Even though at times things seem on stand-still, I know that everything is aligning and percolating to unleash itself and that’s because I keep moving forward with conviction to my truth and action to support that. I feel that is key if you want to manifest things, along with making sure you are acting consistently on all levels of emotion, thought, belief, and action. As I take moments to have gratitude and share honor for these special things I recognize in my life, I hope it is a reminder to each of you to do the same in your own lives. We often don’t acknowledge how far we’ve come, give ourselves loving encouragement, or take time to cherish each of the treasures, both hidden and obvious in our lives. Tomorrow I head out to British Columbia to immerse in the land there, the farmhouse, and the beautiful energy of Hillary’s horses, and will be away through Sunday the 12th. I feel this will be a very potent activation of energy in all of the lives whom are coming together for this, including myself. I’m very much looking forward to this long awaited journey that has gone through many transformations and shifts of its own. I’m also excited to connect with Hillary, the owner of Epona Rise Retreat Centre, finally in person. Our extended four-day retreat has morphed into a mini two-day retreat, due to personal matters that evolved in Hillary’s life. Amazingly, we were able to still create the space and we have shifted into more of a private, intimate experience that will be shared by a beautiful, small gathering of women sharing the energy of this time and space. This will include Reiki training, time with the horses and Hillary, and sacred intentional work that organically flows with the energy, as it always does. I’ve been away so much this year for both personal and work journeys, but this marks the last trip for now (at least that I have planned). This has made things quite full in my schedule and along with energetic processes being more deep, has extended the length of time needed for a lot of my work recently. I have availability for just one more tattoo design client between now and August 31st. If you’d like to have a sacred design created with me and need it before December, this is the last opportunity I can provide before I take my 3 month sabbatical. If you’re not in a rush and can wait until the end of the year or beginning of 2016, then you can still place a deposit here: Sacred Tattoo Designs and be scheduled in for then, even while I’m away. I thank you again to all current clients for your patience, as I’m running a couple weeks behind due to more time needed on designs and my being away. I also haven’t had time to post designs, so intend to share a montage of some of them soon, together. I have two, last Reiki workshop opportunities remaining for locals or anyone in the area, or wanting to travel here. There is an upcoming private Reiki 3 Master Teacher workshop that’s been opened to others on Tuesday, July 28th. You’re welcome to join if you’ve already received your Reiki 1 & 2 certification either by myself or another teacher, or if you’d like to come for free review, if you’ve already gone through this training with me. There is also an upcoming private Reiki 1 & 2 workshop that’s been opened to others on Sunday, August 16th. Otherwise, you are welcome to schedule a private workshop, but it must be scheduled before September 1st, at which time i’ll be on sabbatical for 3 months. Payment plans available. This will be my last Summer in Orange County, Southern California. More exciting details to come! But for now, here’s the exciting Summer line-up of current scheduled events and workshops that will enhance your life in powerfully positive ways! We’re now only 10 days from our registration deadline to join this event. Come join the magick and fun with us, while you learn ways to create greater empowerment in your life, reawaken passion and abundance, learn secrets to manifestation and creating YOUR dreams, as well as receive an activation to kick things to the next level! We’re less than 2 months away and spaces are filling! Working with both the horses and Reiki combined is a potent, mirroring way to be conscious, and take ownership, of your feelings, recognize the light within you, and live with vibrational integrity. ***If you are local to Orange County and have been wanting to take one of my Reiki workshops or are ready to complete your training with me, the above June and July Reiki workshops are your last chance, unless you schedule your own private workshop with me before I leave the area. I’m already booking privates for when I return in June so just keep that in mind, as my schedule is filling. If you’re interested in co-creating a design with me, please check out the link below for details and place your 1st hour deposit through the link provided on that webpage. If you are local to Orange County/Los Angeles and have been wanting to attend one of my workshops, have intent to complete your Reiki training with me or any other support you’ve wanted, including reviewing/co-teaching a Reiki workshop, please know that my time here is limited and there’s a good probability of not being here past the Summer, but could even be before that (see dates below for non-availability during this time period). I will keep you posted on the official time frame, as soon as I know. Remember that I teach private workshops, which includes private group workshops if you have a friend or two you’d like to go through training with. This means you don’t have to wait for me to post a workshop in order to join, as I can create one for you. I teach these all the time by request since it’s a specialty of mine to customize workshops and my schedule is flexible. Full day and short workshop options available to assist in realms of Reiki, Crystals, Pendulums, Crystal Elixirs, and any other conscious expanding realms you’re interested in delving more into – contact me with requests or to customize. Hosting or Co-Creating a workshop/event in your home town is always an option too – receive free training/group discounts and more. Contact me with requests and interests. Serious inquiries only please. If you are hosting an event, own a yoga studio or spiritual healing center and are interested in sacred art to add to the energy of your space, contact me about paintings I have that may be a perfect fit. These can be loaned with agreement, or purchased. Local requests only please, unless you are capable of shipping costs for artwork. Custom pieces are also an option to explore. I have a lot of personal and work travel scheduled, so this limits my availability for workshops, sessions, and commissioned tattoo designs. There is still time to register for this Sunday 1/18’s Crystal Magick Workshop. I had 2 cancellations needing to reschedule, so I’m extending the registrations until tomorrow, Thursday 1/15, as well as the discount of $50 off. If you have a friend that wants to join, message me for additional savings. If you took this workshop before and want to join for review, message me as well. 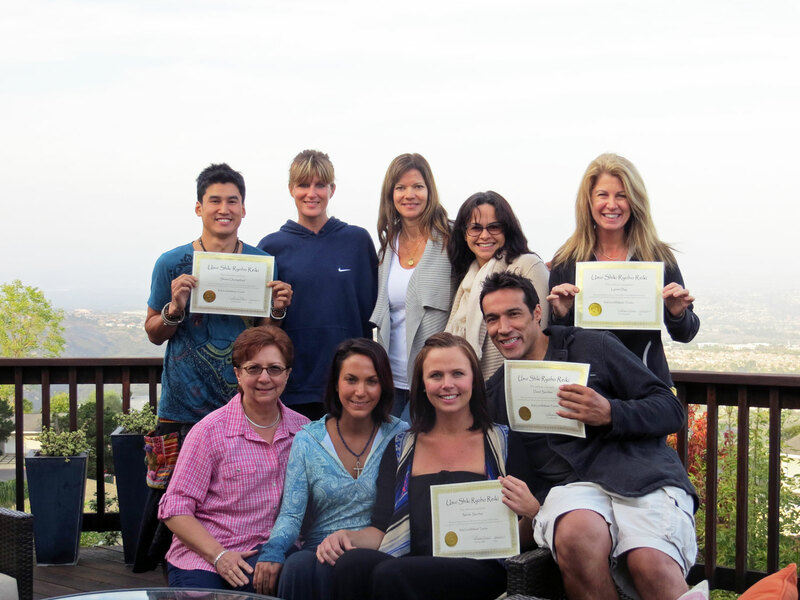 Don’t forget that Sunday February 8th there will be a Reiki Level 3 Master Teacher Workshop. Depending on new students for this workshop, this will determine past students coming as a review opportunity. If you still want to join this workshop and receive the $75 savings, you can do so by registering by end of today, Wednesday 1/14. Contact me if you need help with payments. I’m immersed in some pretty amazing tattoos these days with some pretty amazing clients. And, it’s like a vortex of powerful symbolism and codes over here that are opening all kinds of portals, as I work day in and day out on the back up of designs, due to my being away a lot over the last couple of months. I want to extend my appreciation to everyone for your patience, as this is work that truly benefits on all levels from not being rushed. As you know, there is a waiting list for design work, and since a lot of the pieces have been amping up in size and breadth of involvement, it’s recently become necessary to limit the number of new clients I can take each month, in addition to the clients I already have. This also helps me to be able to turn work around more efficiently. That said, I can only take on 6 new clients per month alongside the current waiting list. When you place your deposit to hold a space, you will also be scheduled into the calendar and provided a week that we’ll be co-creating your design in. If you need your design before the date provided, due to a tattoo appointment you have scheduled, or energetic needs, please let me know upon contacting me. Rush jobs that must take place in a certain time-frame are subject to my availability of working off-hours, which would equate to a higher rate fee, reflectively. Design work books up quickly, so if you’re interested in getting on the schedule let me know.